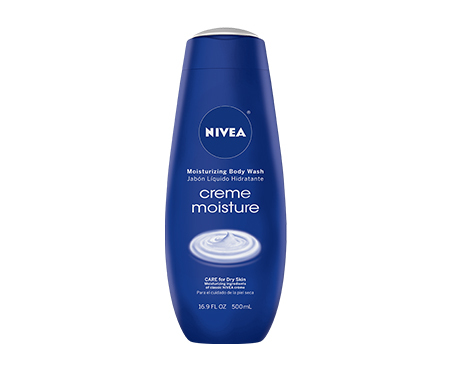 NIVEA Creme Moisture Body Wash intensely moisturizes and leaves skin feeling soft and smooth. With the caring ingredients of NIVEA Creme. Give your skin the care it deserves with NIVEA Creme Moisture Body Wash. Frequent showers and hot water can strip your skin of essential oils, which can cause moisture loss. Help prevent dryness with Nivea's most moisturizing body wash. Formulated with gentle cleansers, soothing Pro-Vitamin B5 and caring oil, NIVEA Creme Moisture cleanses and intensely moisturizes your skin, leaving it feeling soft and smooth long after the shower. Available at most mass, drug and food merchandisers nationwide as well as select online retailers. velvet soft skin. Nivea Crème Moisture Body Wash left my skin feeling so soft it was like velvet. Simply loved it. Awesome. 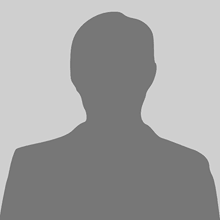 I received a free sample of Nivea creme moisture body wash to try from Pinchme. My opinions are 100% my on. I like this body wash it keeps my skin soft and moisturized all day. It smells amazing and a little goes a long way. Creamy, rich texture that smells GREAT!. This Nivea Creme Moisture body wash is fantastic! The texture is so rich, creamy, and luxurious. It spreads over my skin easily and rinses completely without leaving me feeling slimy. My skin feels so moisturized after using it! It's perfect for revitalizing my dry, itchy winter skin. The scent is very nice, too. I think it smells more like a lotion than a body wash. Still a very pleasant, calming, and relaxing scent! Love Nivea. I have gotten many of the other Nivea body washes with the lovely scents and I love them. I have really dry skin, so trying the Nivea cream moisture body wash was a definite game changer. Full Of Moisture. Nivea Creme Moisture Body Wash definitely delivers on moisture! I loved it because I didn't feel greasy or gross after it was washed off. Just felt soft and smooth. The fragrance coming out of the bottle was a little strong for me, but it didn't linger for very long so I really appreciated that. Nivea. The Nivea Creme moisture body wash left my skin super soft. No residue felt. It has a great light scent and lathers very well. A small amount goes a long way. This body wash left my feeling clean and smooth. Nivea Cream review. I was able to get the Nivea Creme Moisture Body Wash for free from pinchme to try out. Usually always just use a bar of soap to wash my body but trying this out definitely made me love using body wash. It's like I threw some lotion on my body while showering. Left my skin feeling so soft. It smells great too. It's doesn't have a super strong perfume smell so that was a plus for me. I really liked this. I used Creme Moisture Body Wash by Nivea and was very impressed with it. It actually does make your skin feel cleaned and moisturized at the same time. The scent was nice and I didn't feel gooey or anything unwanted or uncomfortable after usage. Clean scent and nice lather!. Overall, I liked this body wash and would use it again if it was on sale. The lather was great and my skin felt moisturized but I prefer a more feminine scented wash. It smelled clean but more of a unisex scent. It lasted a decent amount of time and I didn't have to use a huge amount to feel clean. NIVEA Creme Moisture Body Wash. This is perfect for my skin during the winter. NIVEA Creme Moisture Body Wash has made my skin feel rich and moisturized. I love how thick and full body it feels. The smell is light and easy to handle. It isn't so strong that it covers all of my senses, but it does leave me feeling fresh and clean. Can use as shaving cream!. I absolutely loved my free NIVEA Creme Moisture Body Wash that I received in the mail! It had a light, lavendarish smell, & was extremely hydrating, especially during these colder winter months. A little goes a long way, & I was actually able to use it in place of shaving cream to shave my legs. It obviously didn't lather up as much as a shaving cream as it's not meant for that, but I loved it. I loveeeee the scent!!!. This is an amazing body wash! the scent is super sweet and nice! and it leaves my skin feeling amazing !! Love this. NIVEA CREME MOISTURE BODY WASH was wayyyyyyyy more than I expected. I LOVED IT. I am a tough critic with body was. It smells amazing, I felt clean and fresh, my skin was soft, it was gentle. I love it and so excited about this product. I recommend it and have already purchased more. Moisturizing. The neva crime moiture body wash is really good. It feels really nice on the skin. I will definitely buy it again. Strong scent. The product is very moisturizing. I do enjoy the creaminess. The scent however is not appealing to me. love the scent. The scent for this product is great - not too overwhelming at all. Leaves my skin nice and moisturized. Leaves skin SO soft!. The Nivea Creme Moisture Body Wash is now a winter time necessity in our house. It does a great job cleaning but an even better job leaving dry winter skin smooth and hydrated. Pleasant light scent and no residue. Great moisturizing body wash!. I received a free, full-sized sample of the NIVEA Creme Moisture Body Wash and I'm so glad I did. Before I tried it, I assumed that it would be thick(er) and have more of a lotion-like consistency. However, I was pleasantly surprised to learn that it very light and smooth. It also has a very faint scent. So if you don't like heavy perfumes, this body wash is for you. One of the things that I found different (not necessarily bad) was that it doesn't create as much lather as you typical body wash. But it really does provide excellent moisture and lives up to its claims. I found my skin was even more moisturized when the Creme Moisture Body Wash was followed up with any of NIVEA's body lotions (I usually use the original one in the blue bottle). I'm glad I got to experience NIVEA's Creme Moisture Body Wash and have already recommended it to family and friends. Was Pretty Good.. NIVEA's Creme Moisture Body Wash was an okay body wash. Wish my skin felt a little less dry after and didn't care for the fragrance. Helped a little with dryness though. And it's convenient to have a moisturizer in a body wash instead of having to apply afterwards. Great product!. I tried the Nivea creme moisture body wash and was pleasantly surprised. It had a nice creamy lather that made me feel pampered and clean. I would recommend this to everyone. Amazing!. Received the NIVEA Creme Moisture Body Wash as a sample and immediately went on to purchase this body wash. It made my skin feel so good! Highly recommend this product! Wow! This very NICE!. I really enjoyed using this Nivea Creme Moisture body wash. Made my skin soft and smelled good also. Didn't dry my skin either. Very moisturizing wash!. The NIVEA Creme Moisture Body Wash was very moisturizing to the skin during and after my shower. The smell was also very pleasant. Nivea Bodywash. I received the Nivea cream moisture body wash to try out and I loved it. It made my skin softer than my usual Dove bar soap. I will re-purchase again and again.